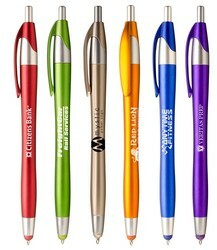 Six vivid metallic colors with matching colored stylus. A multifunction pen with a stylus tip for use on all your touchscreen devices. An hourglass barrel in vivid metallic colors and a coordinating stylus with silver trim. A multifunction pen with a stylus tip for use on all your touchscreen devices. 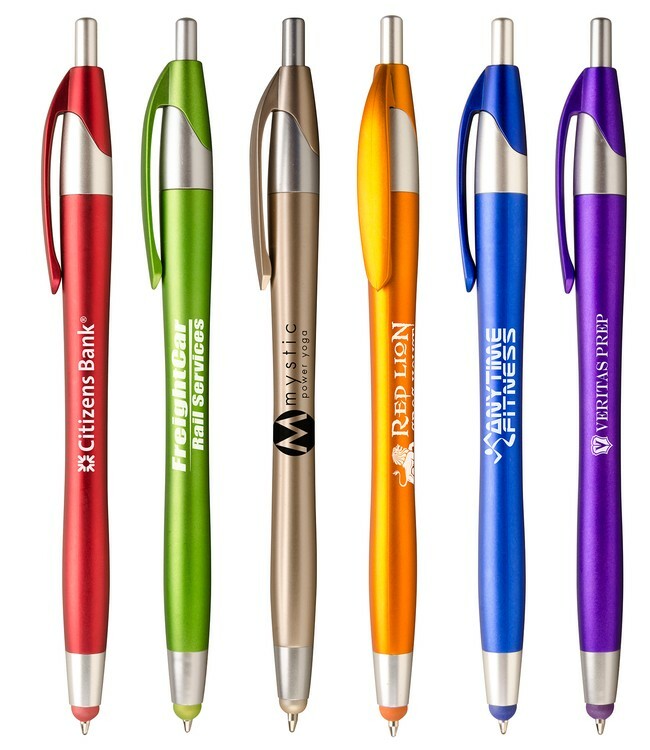 An hourglass barrel in vivid metallic colors and a coordinating stylus with silver trim. Guaranteed ultrasmooth writing cartridge in either blue (default) or black ink. FREE 24 hour rush service available.